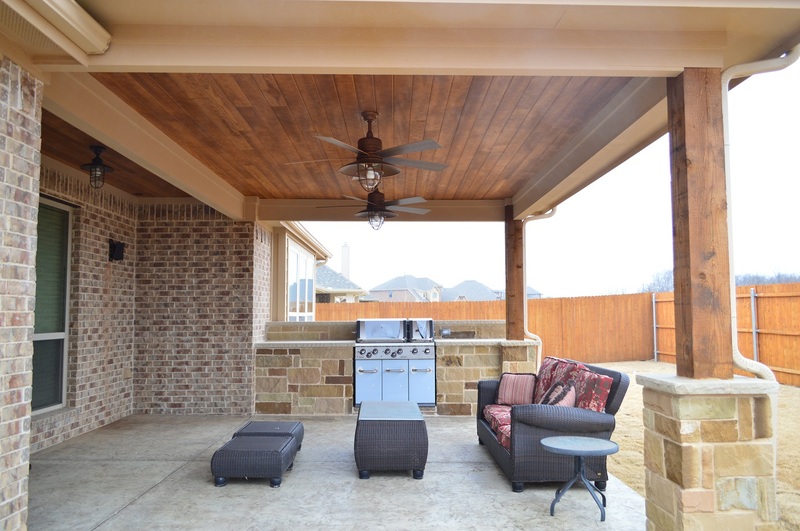 This Dallas covered patio is a stunning example in outdoor living design. The gorgeous cabana ceiling is pine tongue and groove with oil-based walnut stain. To achieve dramatic contrast and a truly custom aesthetic, the cabana’s ceiling beams and support posts were stained dark chocolate. The stain and stamp patio floor was created with Ashlar slate stamp and platinum grey and charcoal stain. This treatment was also given to an existing adjacent patio. Coordinating Lueders stone was applied to kitchen worktops, fireplace mantel, and atop the stone columns. 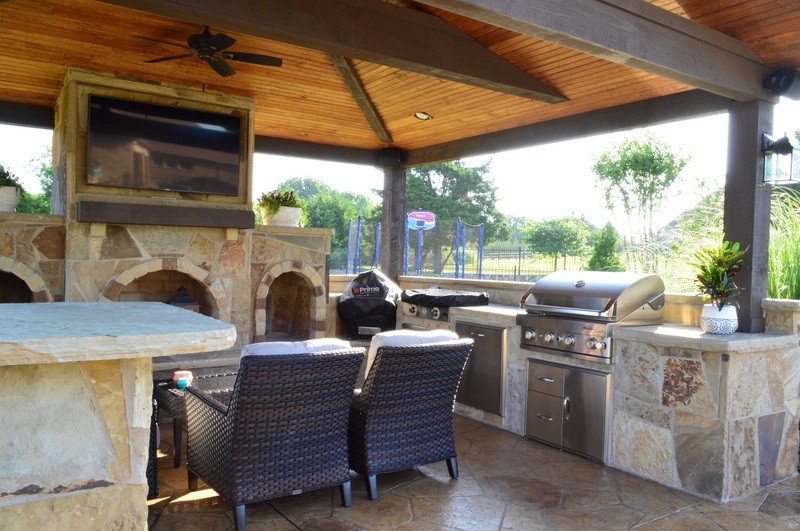 The outdoor fireplace, columns, and kitchen built-in vertical surface were all created with Granbury chopped stone, achieving perfect contrast with the warm, dark wood colors used in the structure. Three custom-laid flagstone walkways invite family and guests to this gorgeous outdoor living space. 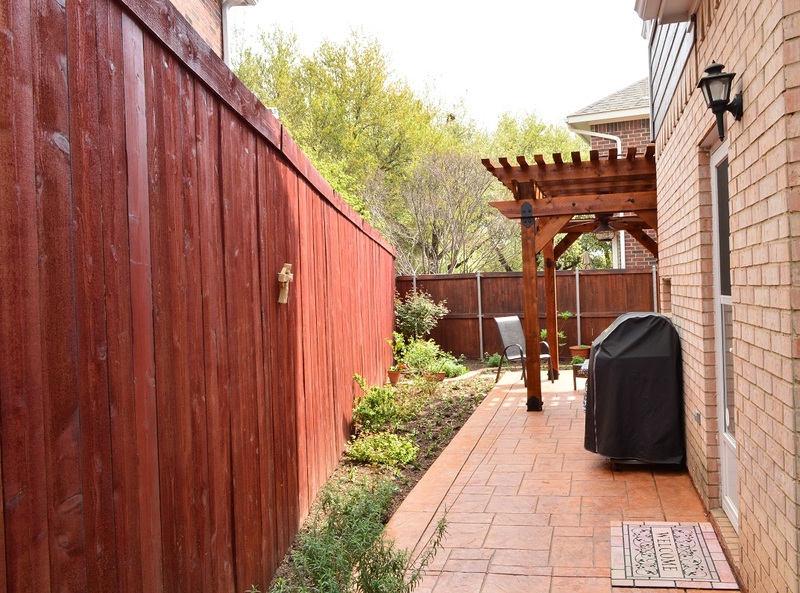 Learn more about this project in our blog story This Dallas Backyard Serves As A Blank Canvas For Outdoor Entertaining Artistry! 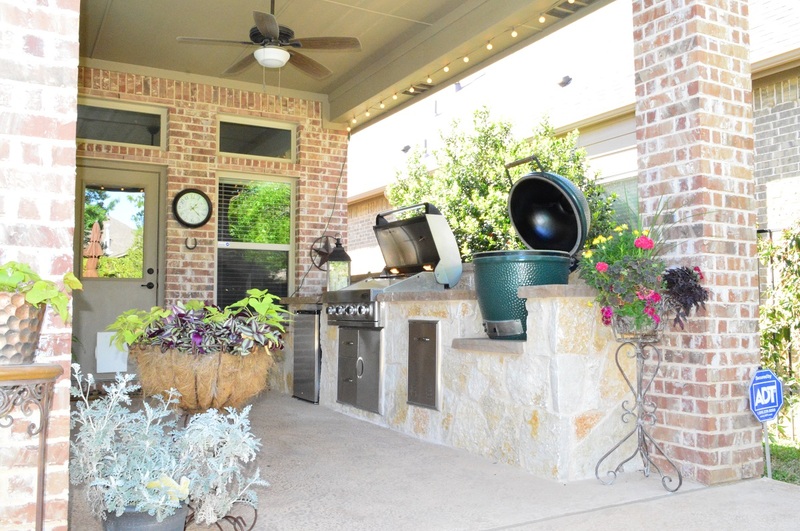 or call us to transform your outdoor living space at (972) 904-3325.